When searching for a reliable expert offering high quality master key systems installation and repair in San Diego, CA and surrounding, then you should consider 858 Locksmith. We offer professional, dependable and honest services based on the needs of our clients. Our company has highly trained lock technicians, friendly staffs as well as excellent service since we are licensed bonded and insured. Our company offers up front pricing to the clients hence making us stand out among our competitors. Our commercial locksmith services are performed by qualified expert technicians who will install and repair all the locks at your business. We work tirelessly to ensure our 24/7 locksmith service is available to our customers. We associate with professionals who have 5+ years experience in this field in order to deliver top quality work to our customers. When clients contact our customer service department, we make sure our technicians will reach your premises within 30 min response time. We will offer complete locksmith service to your satisfaction. Master key systems are essential when installed in a company since the person in charge of this entity can use one key to access several areas within the premises. Entities like hotels, health facilities and jails would benefit when these lock systems are installed. Those managing these entities as well as other senior employees can access multiple areas using master keys. Indeed, it is a great benefit to carry a single key instead of carrying a bunch of them and struggling to choose the specific key needed. We ensure professionalism is observed all the time. Our expert technicians are fully trained with capacity to offer complete locksmith service. We will offer fast and friendly mobile locksmiths service depending on the needs of our customers. We use high tech tools and equipment to ensure quality services are offered to our clients. Our techs offer up front pricing which are friendly to our customers. Business owners and managers must have access to several areas in their companies. Due to this they need to install the best master key systems to be able to manage those areas. In this case, they will use master key to access those areas without waiting or calling the person assigned to that area. At 858 Locksmith, we will handle all those issues relating to commercial locksmith service to make sure there is safety in your premises. People who need to install and repair their master key systems in San Diego, CA and surrounding should contact us and we will reach their location in 30 min response time. We offer unique master keys that it would be difficult for anybody to duplicate them without consent from the owners. In this case, we ensure security for your business is our top priority. Our professionals work closely with the clients to ensure we understand and pay attention to every issue in order to meet their requirements. We use the state-of-the-art tools to ensure quick and effective services are delivered. We will perform complete locksmith service that covers all locking systems. We will offer fast and friendly service with the best up front pricing in the market. Residents of San Dieg,o CA and surrounding should not be worried since we are ready to install service all their master key systems to fit their requirements. Our services are unmatched in San Diego CA since our company has good public reputation. We are usually ready to offer mobile locksmiths as well as 24/7 locksmith service to all those interested. We are dedicated to ensure the safety of your business is achieved. We work hard to ensure our clients are fully satisfied with our work. Through our experience, we understand that complete client satisfaction is critical in our business. As such, our dedicated and committed locksmith experts will ensure our clients have received affordable, reliable, efficient and quality services whenever we visit their premises to install or repair the lock systems. In entire San Diego CA, we are the best company offering locksmith services to business entities and companies. We ensure the best systems are installed to enhance security for your business. Contact us today and expect to receive exceptional and quality services from our technicians. 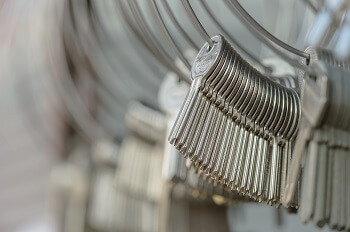 Master Key Systems https://858locksmith.com/master-key-systems/ 3.8/5 based upon 27 reviews.